Daimler is falling some 2% post earnings today. The stock turned right on the resistance levels a few days ago, and is confirming this with the move we are seeing today. 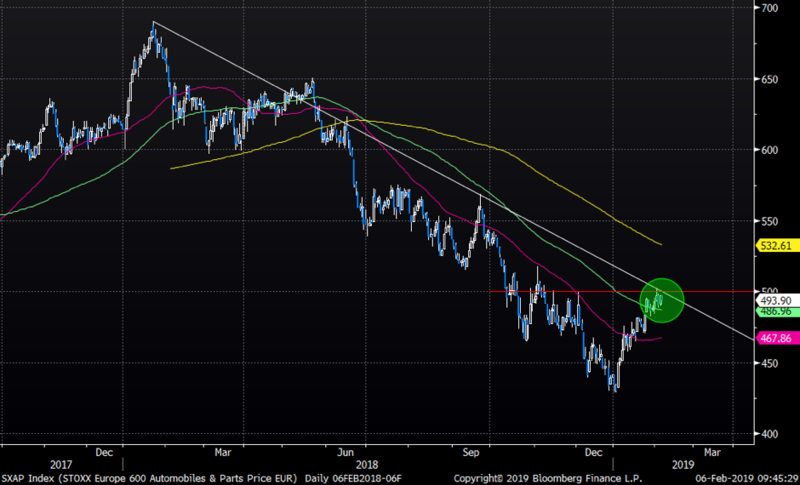 European autos, the SXAP index, was the top dog last year, but it seems many have forgotten about this important sector. SXAP has bounced during this squeeze, but note we are just at the trend line that has been strong and in place for the past year. 500 is a huge level. 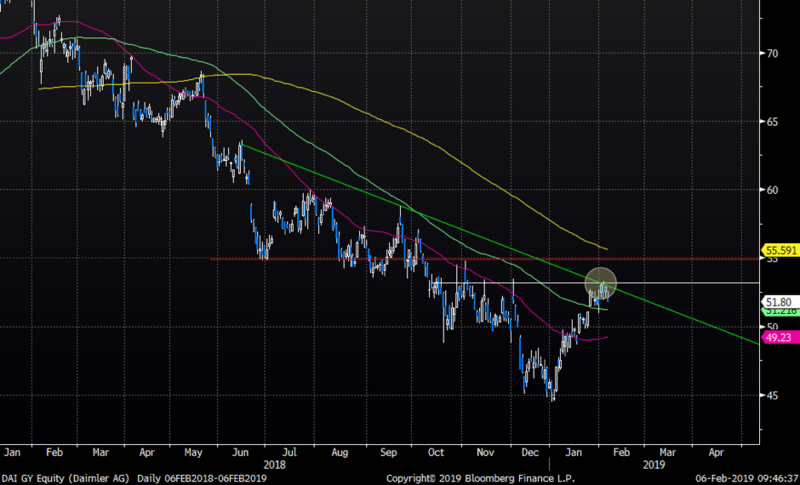 Another important sentiment sector is the European banks, the SX7E index. 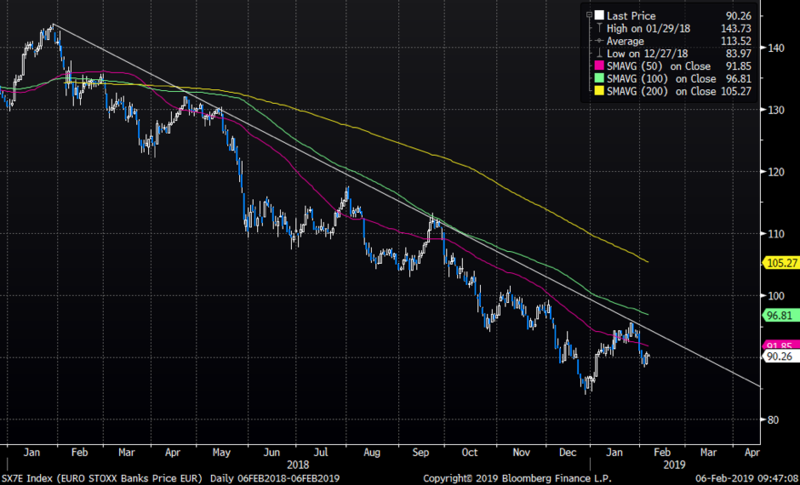 Given all the “troubles” in Italy, as well as the poor earnings from BNP today (biggest loser in the SX7E today, -2.3%), it doesn´t look like Europe will get much help from banks. 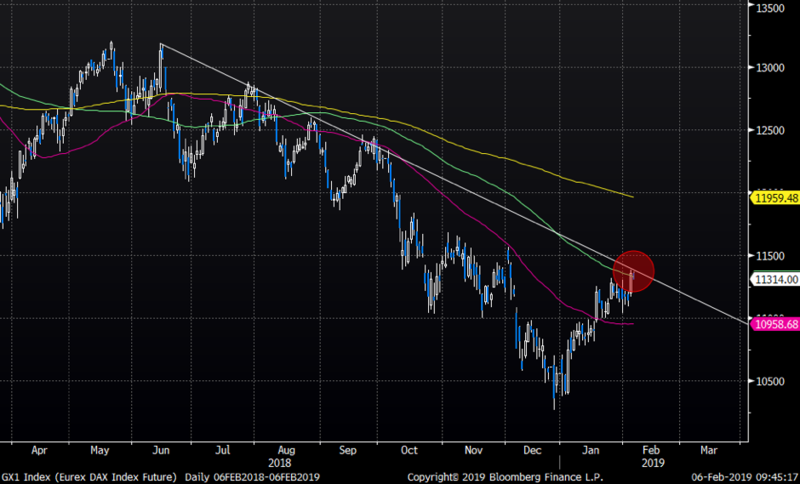 All European indices have bounced in January as investors have been chasing longs in panic, but for Europe, we would need the DAX to start leading and not lagging, in order for a meaningful longer-term bull to be born. Don´t buy protection when you must, buy it when you can. V2X is down to pleasant levels again (for more logic on volatility around these levels click here).